GO Explorers is the newest early years programme for Gallery Oldham. 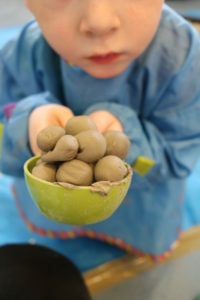 Our weekly sensory sessions are for children aged 2-4 and their families. We encourage some of our youngest visitors to explore the world using creative methods from singing, movement, play and getting messy! Please dress for mess we have a selection of aprons available, we also have lots of baby wipes, towels and warm soapy water too. For any younger visitors we also run sessions for 0 -2 year olds too. Everyone is welcome, please come and have a go! Booking is essential, just £3.50 per child, per session. Book Online.